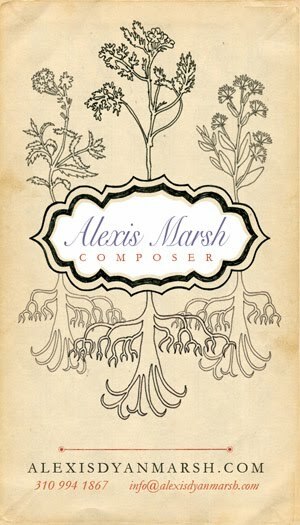 My lovely, driven and talented friend, Alexis Marsh was accepted into a fancy pants music composing course in Los Angeles! So naturally, she needed all new business cards designed with her new number and new website. I love designing for her. She pretty well leaves me to my own devices. And so here's what I made for her.